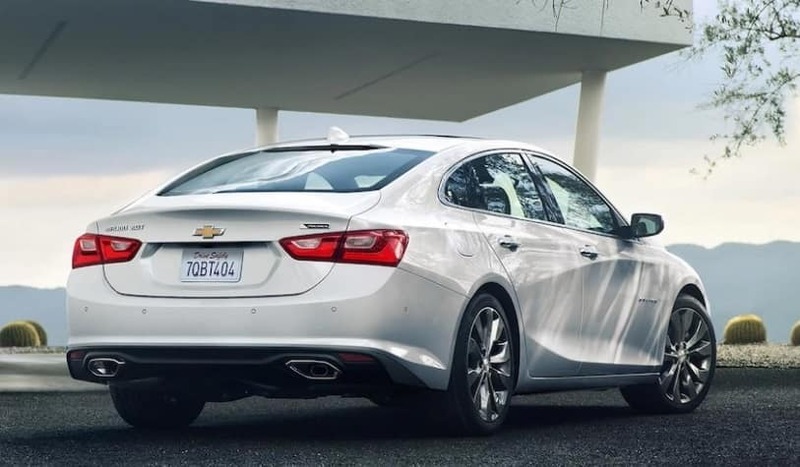 Initially going through so many iterations, the Chevrolet Malibu has been produced as a front-wheel-drive midsize sedan since it made a comeback in the late ‘90s. The reinvention and refinement paid off. U.S. News & World Report has the 2017 edition as the number one midsize sedan in American: not an easy feat in a segment that includes perennial leaders Toyota Camry and Honda Accord. 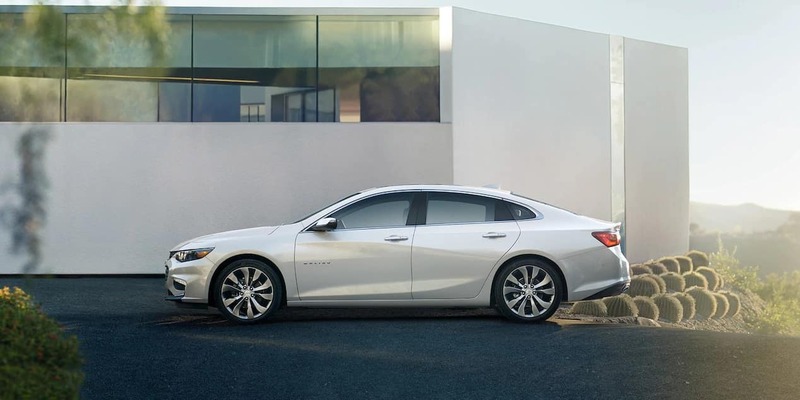 Having debuted the ninth-generation model the year before, Chevrolet does very little to change the Malibu, instead adopting a “if-it-ain’t-broke-don’t-fix-it” approach. The 2017 edition is split into four trims: L, LS, 1LT, and Premier. Base-level exterior features on the 2017 Malibu include power-adjustable manual-folding side mirrors and halogen headlights with auto light control and daytime running lamps. On the 1LT and Premier, the daytime running lamps are LEDs instead of halogen bulbs, and the side mirrors get heating capability. The Premier stands out with its dual exhaust system. The L is the only trim with 16-inch steel wheels; the LS rolls with 16-inch aluminum ones, while 17s go on the 1LT and 18s go on the Premier. 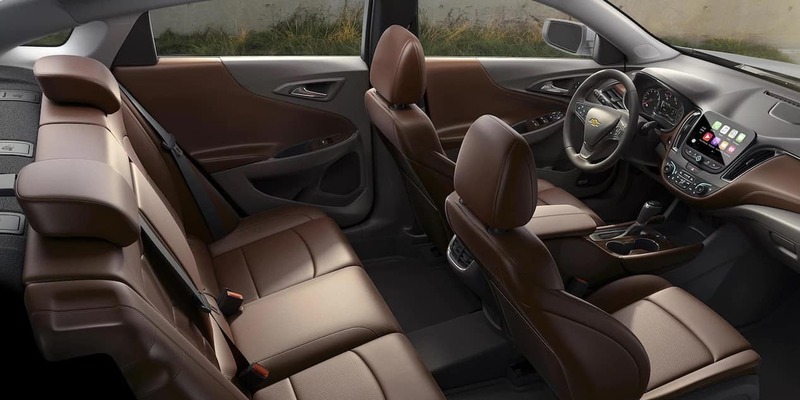 With two rows of seats and a passenger volume measured at 102.9 cubic feet, the 2017 Chevrolet Malibu has a cabin large enough to accommodate up to five people. Trunk volume is measured at 15.8 cubic feet, with the option of expanding cargo space into the cabin—thanks to a 60/40 split-folding rear seatback. The front consists of bucket seats with 6-way manual adjustability. On the Premier, however, the front seating is upgraded with 8-way power adjustability on the driver’s side and 6-way power adjustability on the passenger side, as well as a 2-position memory system for the former and a power lumbar adjuster for each seat. Also unique to the Premier are front-seat heating and cooling capabilities and steering-wheel heating capability. Base-level standard interior features include electronic cruise control, keyless start, steering wheel-mounted controls, and a six-speaker stereo system. Added on the LS and higher is a Wi-Fi hotspot for connecting to the Internet at 4G LTE speeds. On the 1LT, the infotainment set-up is considerably enhanced by Chevrolet MyLink in-car connectivity, with Bluetooth streaming audio technology, Android Auto and Apple CarPlay, voice activation phone and audio technology, and a 7-inch color touchscreen making an appearance. The Premier gets a lot more advanced amenities: remote vehicle start, wireless charging capability, dual-zone automatic climate control, auto dimming on the rearview mirror, and a color driver information center screen. Also, the six-speaker stereo is replaced by a nine-speaker Bose premium system, with 8-inch color touchscreen navigation, dual USB charging ports, and three-month trial subscription to SiriusXM satellite radio joining it. 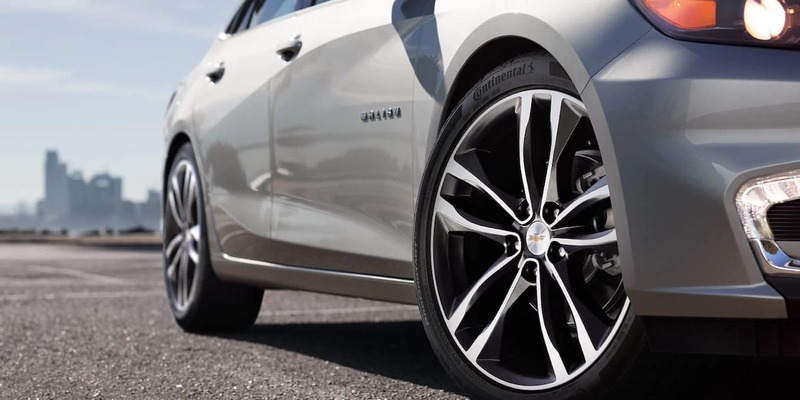 For lessening the amount of turbulence resulting from rough road surfaces, the 2017 Chevrolet Malibu has a MacPherson strut front suspension and an independent four-link rear suspension. Included on the sedan’s brake system is high-performance brake lining, which is designed to limit noise transmission to the cabin and provide good dust performance. 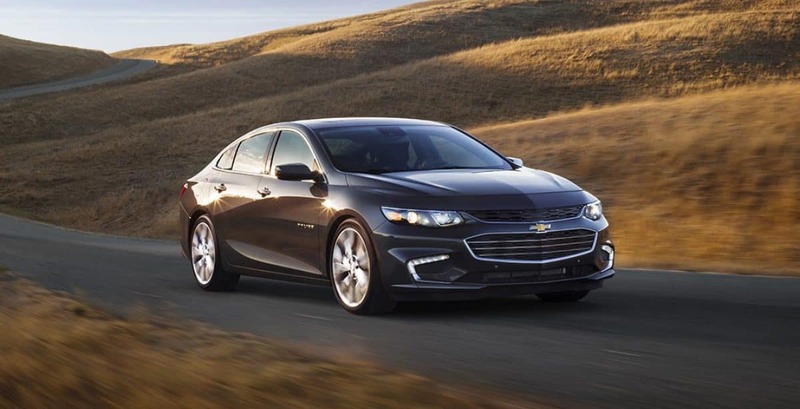 Powering the 2017 Chevrolet Malibu at the L, LS, and 1LT level is the LFV, a turbocharged 1.5-liter inline 4-cylinder (I4) engine that produces 163 horsepower and 184 lb-ft of torque. The Premier is the only one that goes with the LTG, a turbocharged 2.0-liter I4 that generates 250 horsepower and 260 lb-ft of torque. New to the Malibu is a 9-speed automatic transmission, which replaces the 8-speed of previous iterations and is only available on the Premier; the other trims get a 6-speed automatic. However, missing from the LTG is a stop-start system, which shuts down the engine when the car stops and turns it back on when you resume driving. This feature is included with the LFV on the L, LS, and 1LT, and it contributes to a higher level of fuel efficiency, since it cuts down on engine idling. For protection in the event of a car crash, the 2017 Malibu gets 10 airbags. Two of them act as front impact restraints, and they face the driver and front passenger. Two more are placed at the front occupants’ knee area. Two airbags are installed on the front seats for side impact. And two front and two rear side curtains are installed on the roof for head protection of all occupants. Also standard is a pair of OnStar subscriptions: the three-month Basic Plan, which provides services like advanced diagnostics and dealer maintenance notification; and the five-year Guidance Plan, which includes automatic crash response, stolen vehicle assistance, turn-by-turn navigation, and roadside assistance. Huge 16-inch disc brakes on all wheels provide quick response to brake pedal pressure, and it comes with anti-lock ability to maintain control when hard-braking on slippery surfaces and brake assist for additional stopping power. Also standard on the Malibu is StabiliTrak for electronic stability control. On the LS and higher, there’s also a rear vision camera for monitoring driving when shifting to reverse and Teen Driver for supervising the driving habits of younger drivers. Ready to check out the 2017 Chevrolet Malibu for Sale in Libertyville IL? 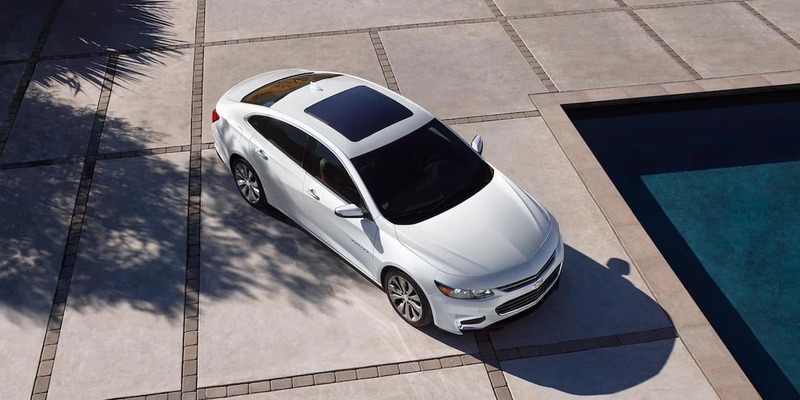 Come on over to Libertyville Chevrolet for a Malibu for Sale. With our base at Libertyville, we also serve residents in Gurnee, Waukegan, and anyone else in the Chicago metro area looking for Malibu specials or a Malibu for Sale. 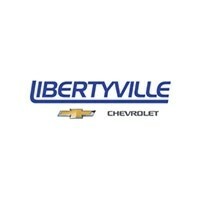 Schedule your appointment at Libertyville Chevrolet with one of our sales professionals today for Malibu specials.